If you are planning to study abroad, apply for international universities or looking to work in an English-speaking country than IELTS exam is a must for you. The International English Language Testing System, IELTS, is designed to assess the language ability of candidates who want to work or study in a country where English is the primary language of communication and is administered by the British Council, The University of Cambridge ESOL Examinations, and International Development Program. After successfully taking an IELTS test, you can apply to study at numerous international universities or schools or to work for foreign employers, immigration authorities and professional bodies, across several countries that identify the IELTS examination. IELTS is recognized as proof of English language proficiency by over 10,000 organizations in more than 140countries, for immigration, professional and educational purposes. The high-quality criteria of IELTS have made it the most widely acknowledged test score. Many visa consultancies in Ahmedabad even provide valuable guidance for your IELTS preparation along with helping with your visa processes. IELTS tests the language skills of candidates in everyday situation among English native speakers. The test assesses four areas of English language skills which are speaking, listening, writing and reading. As the students prepare for this exam themselves or with the help of best IELTS classes in Ahmedabad, they can identify their capabilities of the language and improve on their area of weakness in the same. The IELTS examiners ensure an accurate assessment of candidates by applying pre-defined and strict criteria to each section of the test. This helps in delivering a precise reflection of the applicants English language level. The examination does not have a pass or fail score, the pressure to perform in the tests is comparatively less. The candidates are scored between 0-10 for each of the four sections, which helps in detailed and consistent assessment of candidates’ strengths and weaknesses. Moreover, most of the universities have set minimum scores the applicant must score to be considered for admission. IELTS test is conducted regularly throughout the year and candidates can choose the date which is most convenient for them. Candidates can appear for IELTS test in any of the more than a thousand of the British Council-accredited centres across the world. 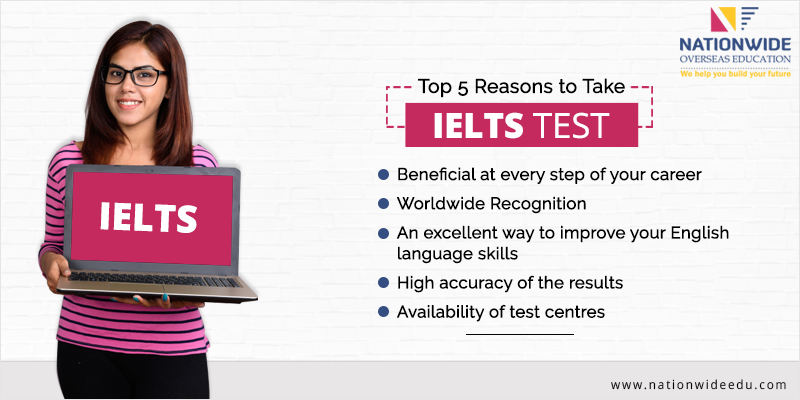 The candidates can conveniently apply online which is then processed by the British Council of the particular country and is sent to the nearest test centre.